The requirement to report detection or suspicion of notifiable diseases exists in all Australian states and territory legislation but it is included in the Australian Honey bee Industry Biosecurity Code of Practice (the Code) to reinforce this very important obligation. Individual states and territories have different reporting requirements and/or exemptions for reporting notifiable diseases and all beekeepers must ensure that they are aware of these requirements and comply with them. 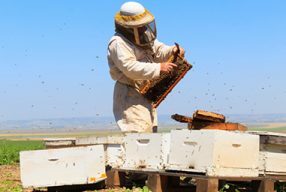 Pests and diseases that can impact on hive quality if not managed, but do not need to be reported to state or territory governments. Examples include nosema and sacbrood virus. 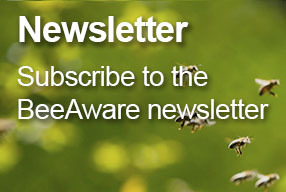 Early detection and reporting of any suspect pests or symptoms may prevent or minimise long-term damage to the honey bee industry and reduce any quarantine period that an apiary, or apiaries, are placed under. When inspecting hives, look for unusual symptoms such as poorly formed honey bees with deformed wings, thoraces and abdomens as well as general honey bee colony symptoms of rapid population decline, or a low bee to comb to brood ratio. Also be aware of any mites that are observed on the honey bees or in the brood. If you observe any unusual symptoms or detect any mites on your honey bees or in the brood report it immediately via the Exotic Plant Pest Hotline on 1800 084 881. Calls to the Exotic Plant Pest Hotline will be forwarded to an experienced person in the state or territory government, who will ask some questions about what you have seen and may arrange to collect a sample. Do not send samples without first speaking to someone from the state or territory department of agriculture, who can discuss the correct type of sample, its packaging, handling and transport to the laboratory assigned for diagnosis. In some states and territories, the Exotic Plant Pest Hotline operates only during business hours. Outside these hours, leave your full contact information and a brief description of the issue and your call will be followed up as soon as possible. Every report will be taken seriously and treated confidentially. Mark the hive or area where the pest was found. Limit access to both the apiary and area for both people and equipment. Wash hands, clothes, apiary equipment and vehicles that have been in contact with the suspect hive/s or apiary. 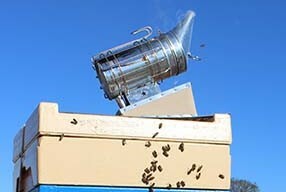 Make sure sick or infested honey bees are not removed from the apiary or area. Stop beekeeping operations immediately while waiting for the identification of the suspected exotic pest. Always follow the relevant state or territory regulatory requirements and the directions given by the state or territory apiary inspectors. Do not move, or attempt to move any hives from the infected premises or apiary site. Always adhere to any movement restrictions that apply to hives, honey bee products, machinery or equipment within the control and restricted areas. If requested, provide the relevant state or territory apiary inspector with a list of known beekeepers who own hives within the control and restricted areas or quarantine zone. 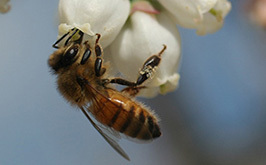 It is important to work with the various state or territory apiary inspectors. Emergency containment and preserving the ability to eradicate the EPP is the first priority for all parties. Following these guidelines provides the best protection for every beekeeper and the entire honey bee industry. 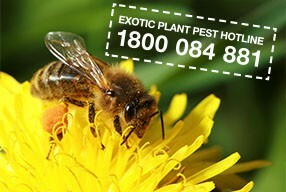 If you see anything unusual, call the Exotic Plant Pest Hotline on 1800 084 881.